Is your Oster Blender Jar missing, cracked, leaking or broken? 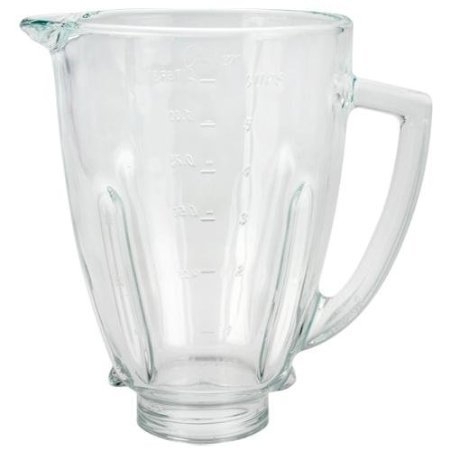 You may need a new Oster Blender jar 124461-000-000. This Glass blender jar fits many Oster Blenders and Osterizers. Leaky blender jars are history when you replace with this original Oster blender part. This 40 Oz. jar uses a round-shaped lid . This jar replaces earlier round model jar 083852. Jar will NOT fit In2itive series, 6700 series blenders. NOTE: This jar top measures 5.5" diameter and uses a lid measuring 5" in diameter. Find the lid here - 124462-000-090 (Black) or 124462-000-805 (White).